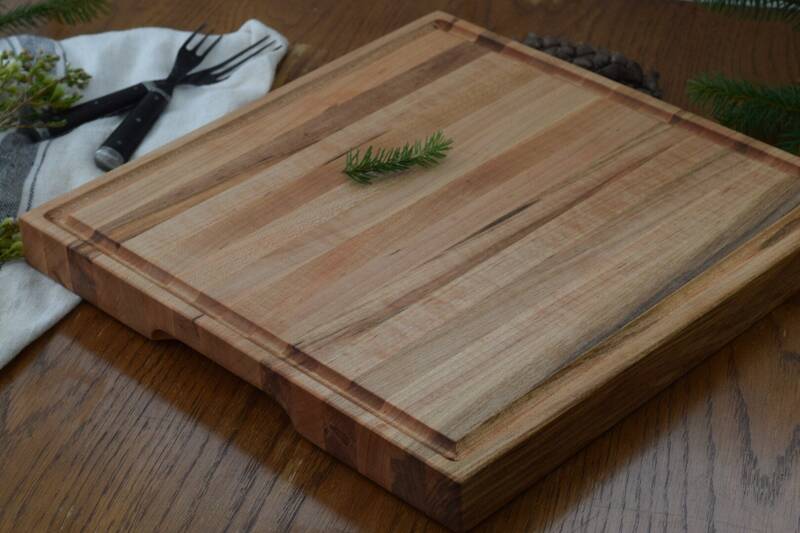 "the butcher" is a heavy duty, handmade, cutting/serving board perfect for breads and cheeses. We love using ours to serve up a hot bowl of soup with a slice of homemade bread. 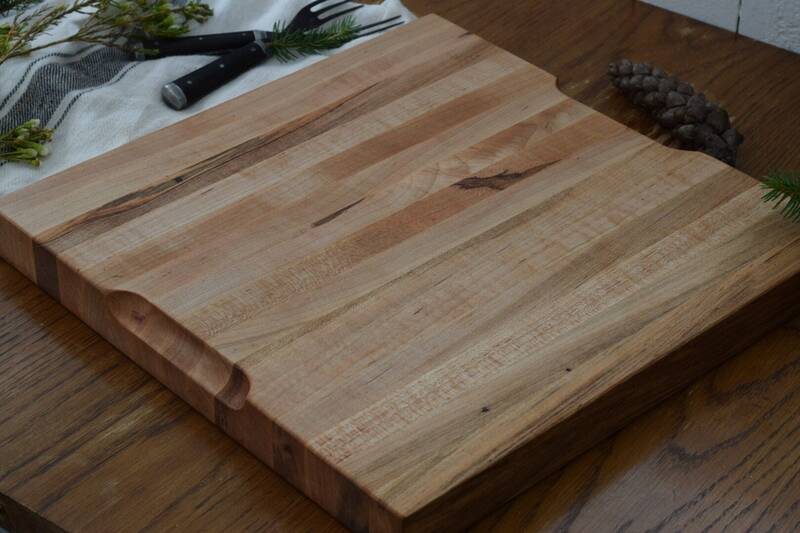 This board is made to order from pieces of high quality Ambrosia Maple hardwood, juice groove added, and finished with a food safe walnut oil. 13" x 13" x 1.25"
As with all wooden boards or utensils some care will be needed. to clean: simply hand wash with mild soap and rinse. Do not place in dishwasher or soak in water. 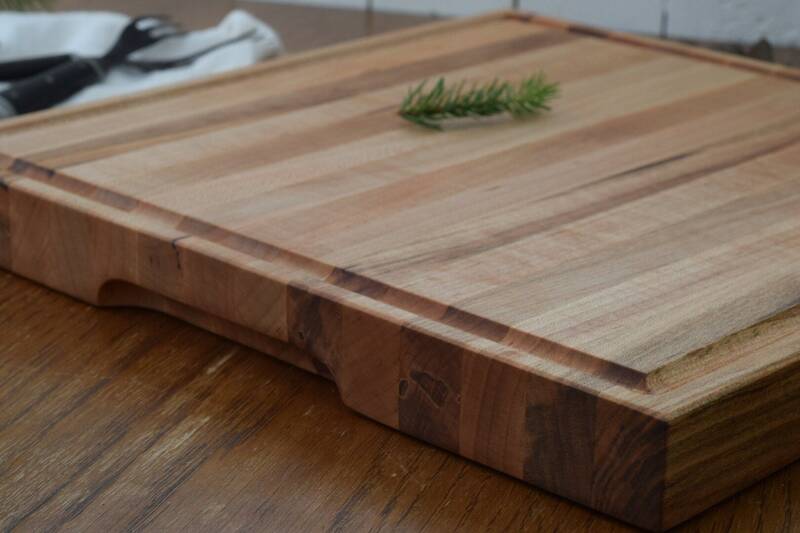 If the board becomes dry you can recondition the wood by applying a small amount of food safe oil such as walnut, linseed, or butcher block oil.